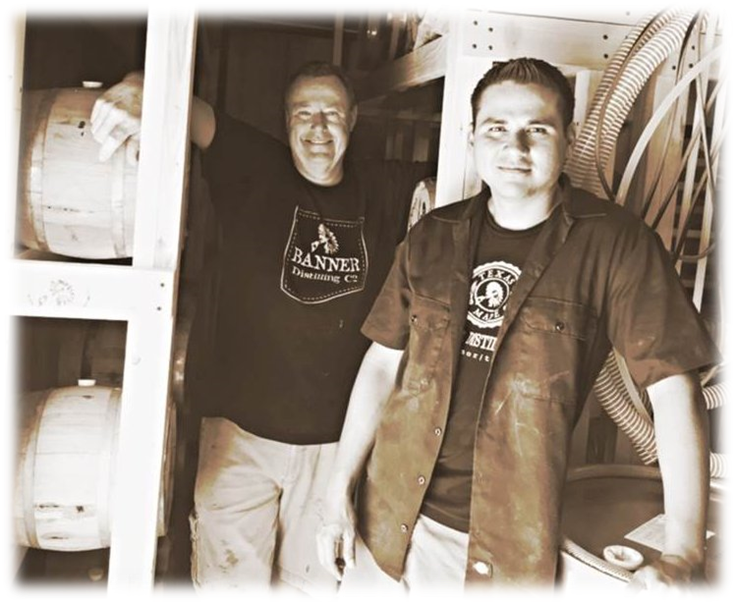 In the Summer of 2011, two co-workers and friends, Logan Simpson and Anthony Jimenez, discovered they had a love and passion for craft spirits and beer. Armed with a PhD in Chemistry, distillation experience, equipment engineering, and a family lineage of Prohibition era bootlegging, they proclaimed they could make better spirits than the big guys and share a seat at the table with the little guys before them. Their strategy was to apply a do-it-yourself attitude with a simple approach to creating new and inventive spirits. 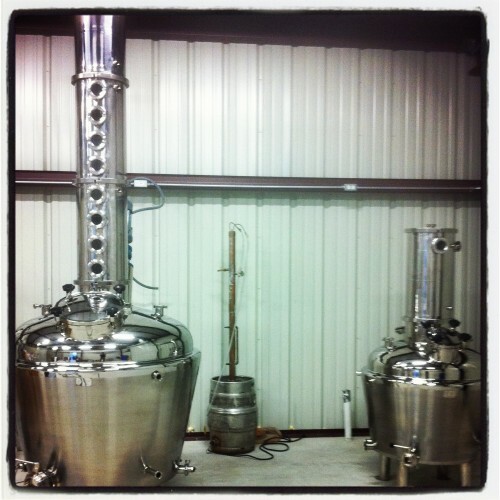 Banner Distilling Co. was launched and erected with little more than 12 acres of land and $45K in savings. What transpired was a gritty and bootstrapping Texas distillery that has a chip on its shoulder and a fearless attitude to go against the grain. We had to start by proving to ourselves we can make better spirits than the big guys without breaking the bank. Since we were short on money and big on brains, the first problem was finding a still to practice our craft. Like home brewing, it takes research, homework, and practice. With a little help from Google and the local library, we came up with a small still design that could be built on a $300 budget. We purchased copper parts from a local Austin plumbing supply and a used beer keg from Craigslist. Our first reflux still, dubbed Beaker (pictured in middle), was born in Tony’s garage. Beaker would serve as a test pilot to prove we could indeed craft amazing spirits on a small scale. 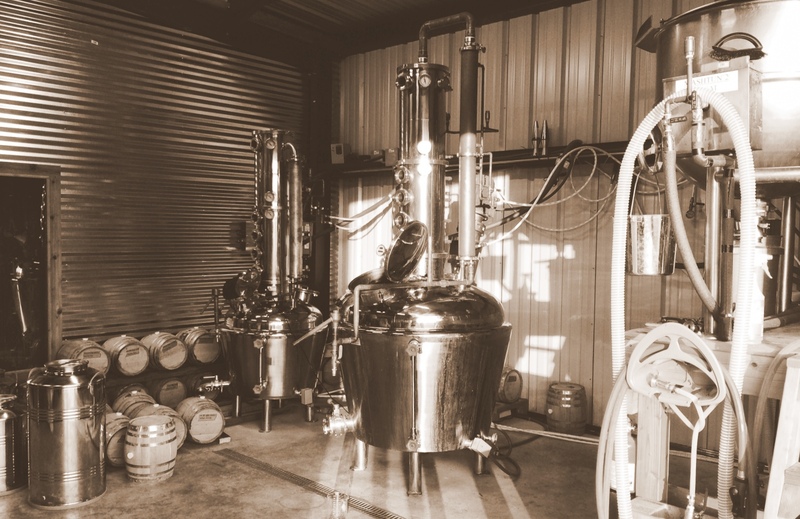 This was the beginning of a tireless effort to break the mold and disrupt craft distilling with innovative Texas spirits. Our name is inspired by a pre-Prohibition whiskey distillery, The Banner Distilling Co., which operated for 21 years until 1913 in Cincinnati, OH. Their only known products are Lone Ranger Straight Whiskey and Waldorf Club Pure Old Rye Whiskey. We love the name Banner for its implied commitment to excellence and patriotic connotation, so we resurrected the name for our distillery. We also dubbed our two stills the Twin Sisters after the two cannons donated to Texas by the folks from Ohio who helped Texas win its revolution against Mexico in 1836. For this reason, Texas shows gratitude to Ohio and will endeavor to ensure our state and distillery will forever be gritty, independent, and rebellious the way it’s been for nearly two centuries.